Don’t I wish! Instead, we’re settling for Ms. Crocker’s rendition of baked lasagna. I don’t know a whole lot about food history. Heck, I don’t know if lasagna is actually an Italian dish. I do know that it contains the things we love; tomotoes, cheese and pasta. What sort of human being would I be if I didn’t share a pic of this delicious repast? A crap human being, that’s the sort! To be frank, I opted to make the lasagna rather than the Kabobed Antipasto Salad. The lasagna seemed easier than sticking things into an eggplant and I just don’t have the artistic eye to pull that one off. 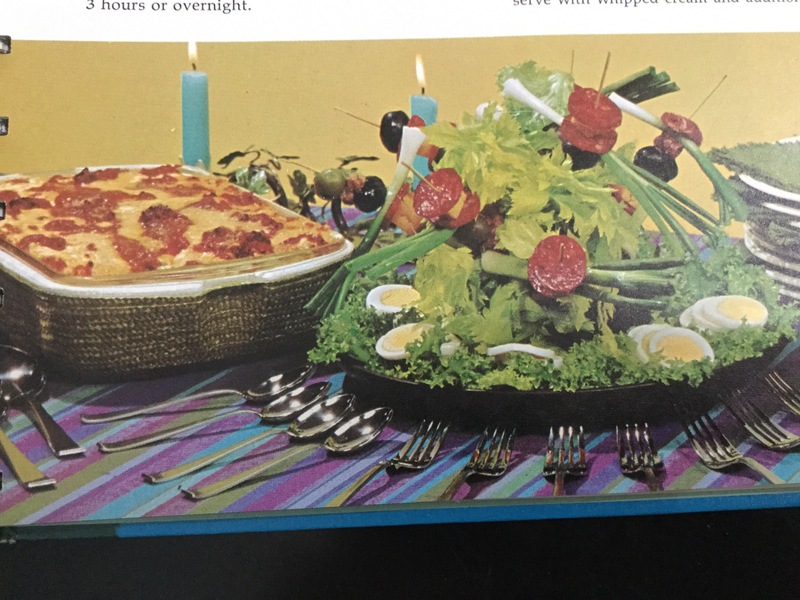 But that salad is pretty glorious. Am I right? Lasagna is in the oven, the kitchen is hotter than the back half of hell and I’ll share the results tomorrow.